S10.00 Valet Parking fee at 6pm every day. 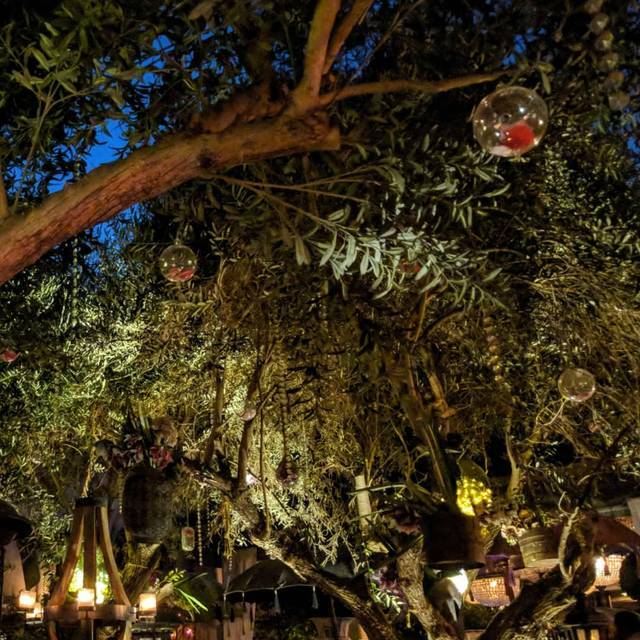 Experience a full dinner among 100yrs old Olive Trees in our beautiful Garden. 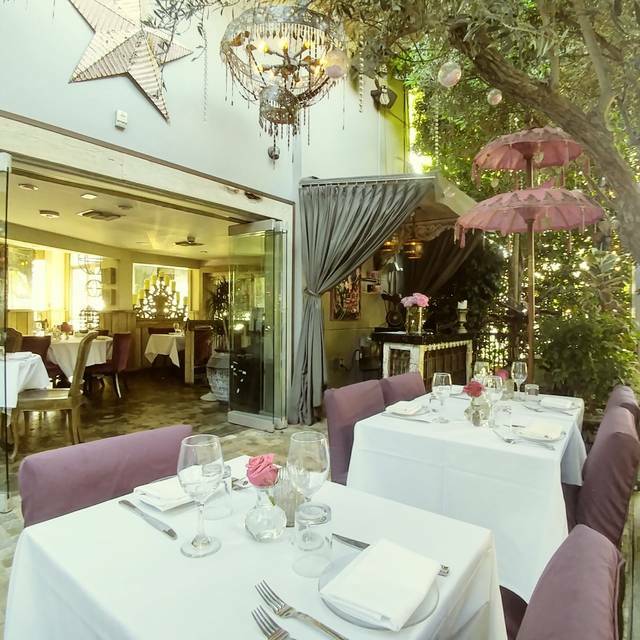 Let the chic ambience and decor take you to a European dream.....Our garden is completely covered and rain free. Great way to start my husband's Birthday week! Place is busy, food is alright but not exceptional. Found it a bit ridiculous that when we arrived we had to walk around the place for five minutes to find the hostess’ station and were told because of two minutes they no longer had a table for us. We then waited for another table and sat by the firepit because they would serve dinner there as well. In 20 minutes, we didn’t even get a menu or a waiter to acknowledge us. We went back to the hostess, this time another young lady told us there wasn’t any table all along. Bega the question WHY are they taking them then. Aftwr that, night was ok. Thank u for making my sons Bday a special occasion!! The ambiance was great for a bachelorette, but the service sucked. We waited for what seemed like forever for our waters to arrive. When I finally asked the hostess (the only one who didn’t seem that busy) about our waters kindly, she gave the nastiest look at me with attitude about how she isn’t a server. The bad service kinda put all of us in a bad mood. Fish & chips with Prosecco on a Friday! Everyone very welcoming & friendly. Male host explained that they would sit us closer to 9pm & they would text me as if I arrived super early. Makes sense if the table still needed time to be prepared or if another guest was still finishing up but that wasn’t explained. I looked at the time & it was 8:57pm. We were quickly greeted with another super friendly host with menus who brought us to our table. Dinner & apps were great! Was so excited about checking this place out, our waiter was meh, food was good, but nothing spectacular.. being from Chicago and having tons of celeb owned and Top Chef restaurants, i had fairly high standard for this one but was sadly let down. The drinks, don’t even bother- we went next door to the Abbey and had the best drinks pre- and post dinner. The Service here was S-L-O-W; but thanks to having a reservation we were seated fairly quickly. On a scale of 1-10, i give it a 4. We arrived at the restaurant as they opened, because it was a business dinner. The wait staff was disinterested and not attentive. The food was just "OK" and not phenomenal, like it had been in the past. My co-worker ordered wine, and the glass arrived with two chips in the rim - and we had to flag down a manager to point it out. A lot of the workers were just standing around and chatting - and it was a real disappointment compared to prior visits. Food was excellent. Great value too. Best meal while visiting LA. Beautiful place & the food and drinks were top notch. Bar tender was super sweet as we waited for our table to be ready but laid on the charm a little too think. There is a fine line between flattery and really dude? Wait staff was very helpful when they came around. Saw our waiter maybe 4 times. I get it, you are slammed but a quick check on people goes a long way. Bathrooms were gross. I was actually a bit taken aback. I will go back if my friends who visit want to go, but I don’t know that I would for any other reason. We went there for brunch in our table was ready right away. 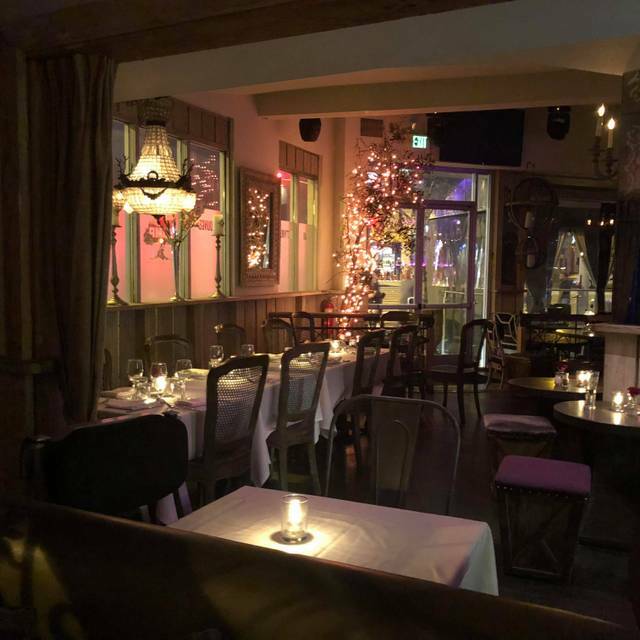 The decoration is fantastic and all of the seating has all kinds of small little spaces so even though you're in a decent-sized restaurant you feel very intimate and comfortable there. The staff is all very pleasant. My only negative comment would be when you walk in your not sure exactly where to go. The hostess station is around the corner see kind of have that feeling of your not sure where to walk in to check in for a reservation. We all had hot cooked breakfast versus something like a chilled fruit salad but some of ours were warm when we felt that they could have been much hotter. Maybe they were just pulled on cold plates. The pasta with meat sauce was inedible but everything else was good. The atmosphere is great and the waiter was nice enough to take the two pasta dishes off of our bill. Great atmosphere. Really enjoyed the drinks and food! Pump was fabulous! Our evening was everything I hoped it would be. We had a 7:15 reservation on Friday and were seated right away. The restaurant is beautiful and our server, Brian, took great care of us. My husband and I shared the rock shrimp tempura and it was amazing! My husband had the Caesar salad and the English fish & chips, I had the seared Ahi. It was all delicious. We shared the chocolate soufflé and it was so good! My only quibble is my husband ordered a beer and when he asked for another, they were out. Ok, so he had a different one. Then when he wanted another, they’d run out of that, too! Seems odd to keep running out of beer so early on a Friday evening. Other than that, I can only say good things about Pump and I look forward to going back. Service and ambience is fantastic. Food is just ok - heirloom tomato salad has no flavor, should add more balsamic, and the grilled toast is too grilled to eat much of because is so over grilled. Truffle chicken had a good core tho lacking flavor, same with the salmon. Love the feeling of this restaurant. Our food was good and solid but not outstanding. 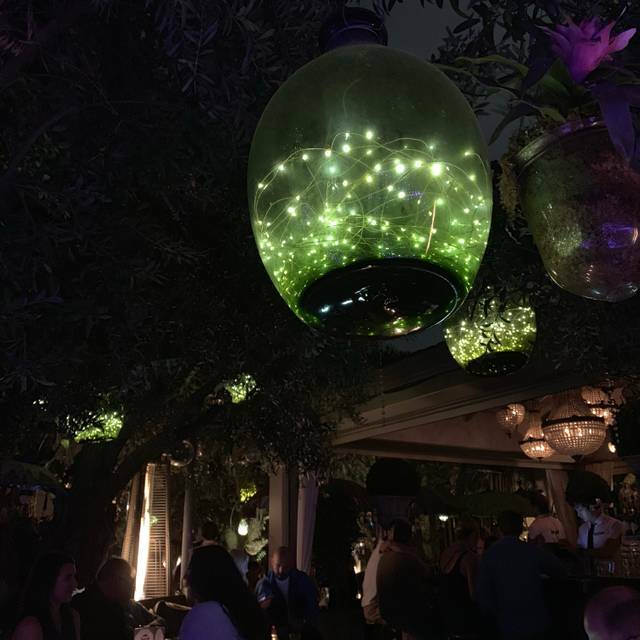 Great vibe and good drinks. The ambiance here is unreal. The food is delicious and the drinks pack a punch. The service was top notch and my guest and I left smiling. Would highly recommend for dinner and/or drinks when in West Hollywood. This was our third time dining at Pump. We come each time we are visiting Los Angeles. The ambiance is gorgeous. 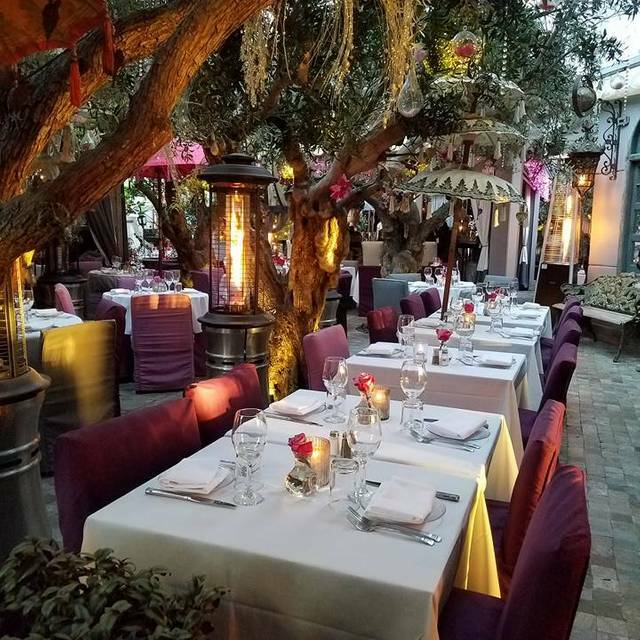 It feels like dining in a beautiful garden. The food is good. I hear that the cocktails are amazing but I don’t drink alcohol so I can’t speak to that. 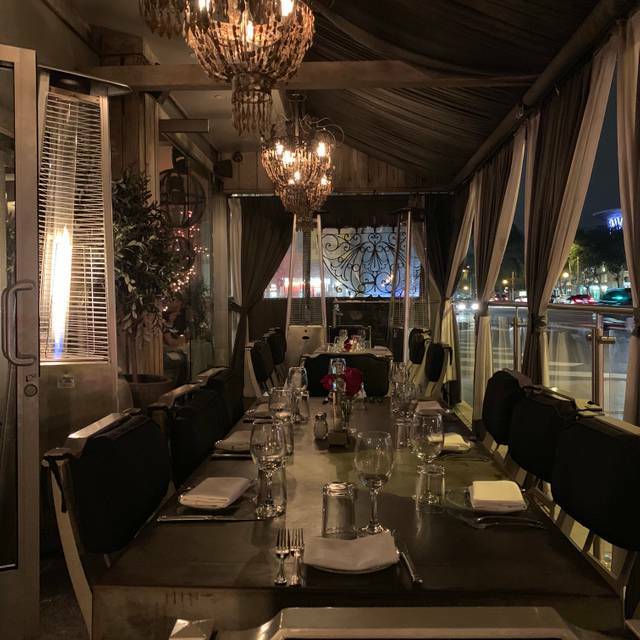 If you are a fan of Vanderpump Rules you MUST dine at this restaurant. We are always blown away by how friendly the staff members are and how they make us feel as special as any celebrity who might walk through the doors. This was my second time at Pump. The food was delicious and we enjoyed our time there. I think if you go late at night when restaurant turns into a bar, and its very dark in there and you've had a few drinks, Im sure it would be great. Its just warn out, decor is dirty, it needs a really GOOOD CLEANING. Has become very touristy and very neglected. Everyone who works there is VERY NICE tho. You have to take that into consideration. Food was just ok. 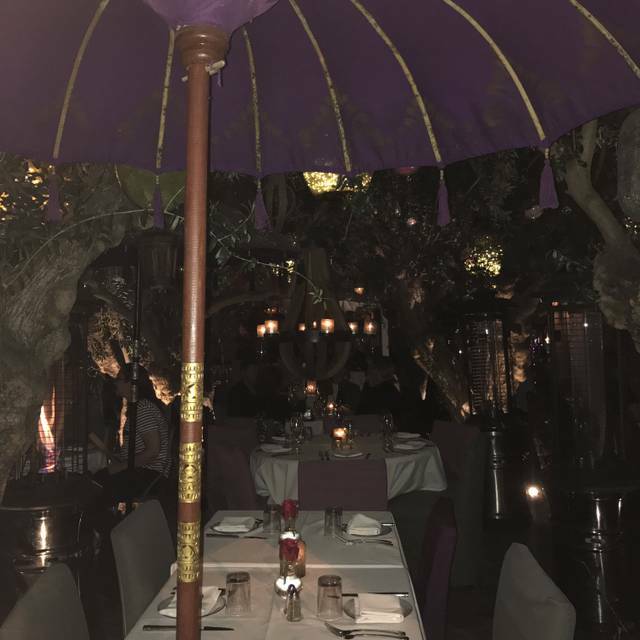 It was our Anniversary, we were there at 6pm and we got the worst table, not even able to enjoy the beautiful trees and lighting, and it was never acknowledged that it was out Anniversary, even tho it was mentioned. Not that I would want a free dessert etc, that wasn't he case. I just would've loved to have a nice table, instead for being sat behind curtains in a corner, while the reset of the restaurant was empty. So strange. I just wanted to be honest. This restaurant is Weathered, and needs some MAJOR ATTENTION......especially with Bottega Louie going in next store, they will blow this place away by their outstanding food, cleanliness, etc. Pump will just be a place you may just get a drink if you can even find a place at the bar to order due to its population to tourist. 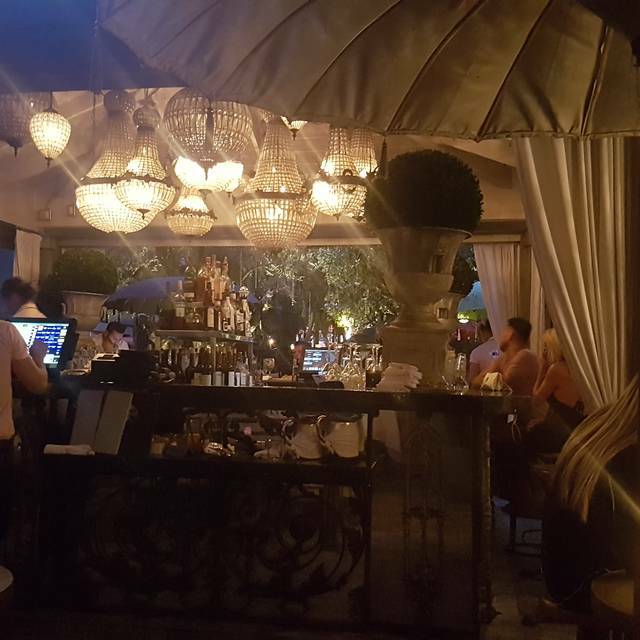 Pump is a very pleasant place with both indoor and attractive patio/garden dining. We went for a late brunch and both loved our meals. 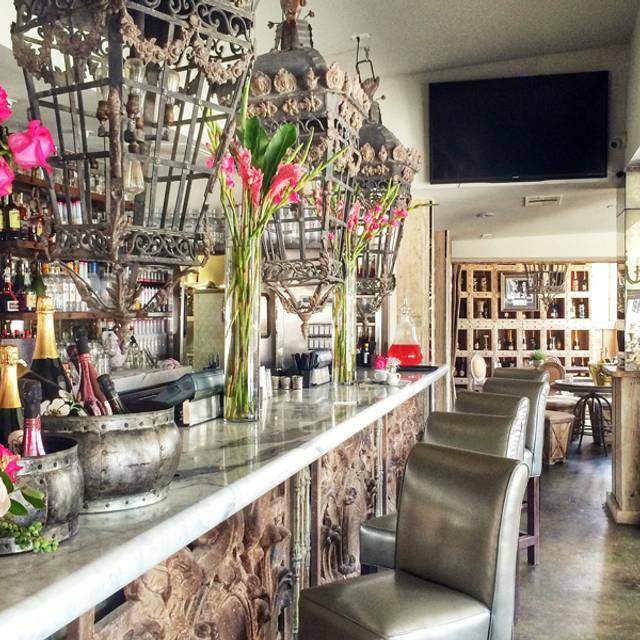 Cuisine is California eclectic and always flavorful and appealingly presented. We had a lovely time at Pump for brunch. I had friends in town and we came after a morning hike and it was wonderful. Staff were very attentive and made sure our waters and drinks were full. The menu was simple and delicious. We ordered the shrimp and hummus appetizers and both were very good and fresh. Our brunch items were good portions and filling. Our favorite restaurant in WeHo We dine there every time we are visiting LA. Went for some drinks on a Friday night and had a great time. We got lucky and found a table as soon as we walked in but it does get crowded so finding a place to sit might not be as easy as it was. Drinks were very good and strong, it’s very much a novelty bar and I couldn’t see myself spending the whole night there but it is definitely a good stop for a few drinks. Location of the table was weird and there were no roses on the table. This place is a joke, if this is one of LA finest choices to eat at then LA is in trouble. Pretty boys in pink shirts is all I can nice about this place, it totally survives off being a restaurant from the TV Show. Overrated. Food is okay, but expensive. Fun to say we went too once but wouldn’t choose to go there again. Food, atmosphere, and Rose’ was amazing. I love everything about the brand!